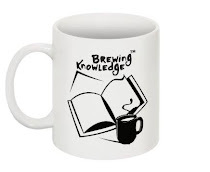 Brewing Knowledge: Goals - Hard Work - Excellence! Goals - Hard Work - Excellence! Over the summer break, I got a chance to read the book "Is Your Child Ready To Face The World?" by Dr. Anupam Sibal. Through this book, I have learnt many things. The one that struck me the most was the importance of knowing how to set one's goals. I believe it is a very critical learning for all children. In order to succeed, you must have a goal in mind. A goal drives you to work towards it. It automatically helps set targets towards the ultimate destination. To begin with, we must set small goals. Their achievement gives us the confidence to pursue bigger dreams. In our country, goals are set from the first day itself for many of us by our parents. The day of birth often attaches aspirations of parents with their children. They dream of their child succeeding as a doctor, an engineer, a scientist, etc. in the future. I feel that children should be given the space to develop these goals on their own. They should be allowed to cultivate their own interests and understand their own passions. Pre-deciding for them puts them under pressure and often forces them to pursue things that may not be of their liking. 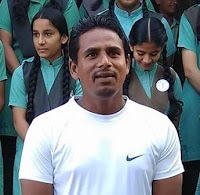 I always give my students the example of Mahendra Singh Dhoni. His journey began from a small town in India with very few resources. However, he let nothing stop him from achieving his goal of playing for the Indian cricket team. And once he was included in the team, he never became complacent but kept striving for more each time he stepped on to the field. We must motivate our students with examples - big and small - to help them dream and aspire for excellence. And we must encourage them to work hard towards these goals.